The Recording Industry Association of Japan (RIAJ)(日本レコード協会,Nippon Rekōdo Kyōkai) is an industry trade group composed of Japanese corporations involved in the music industry. It was founded in 1942 as the Japan Phonogram Record Cultural Association, and adopted its current name in 1969. Japanese copyright laws consist of two parts: "Author's Rights" and "Neighbouring Rights". As such, "copyright" is a convenient collective term rather than a single concept in Japan. Japan was a party to the original Berne convention in 1899, so its copyright law is in sync with most international regulations. The convention protected copyrighted works for 50 years after the author's death. However, in 2004 Japan extended the copyright term to 70 years for cinematographic works. At the end of 2018, as a result of the Trans-Pacific Partnership negotiations, the 70 year term was applied to all works. Works that had entered the public domain between 1999 and 2018 would become copyright-protected again, depending on when the author died. While digital album certifications are possible, only certain album have rarely received this certification since the beginning of digital certifications, including the 2011 Songs for Japan charity album. and Hikaru Utada's sixth studio album Fantôme among others. The solo discography of Japanese musician Yui consists of five studio albums, three compilation albums, twenty-one singles and five video albums. These were released on independent label Leaflet Records in 2004, followed by Sony Music Entertainment Japan sub-label Gr8! Records in 2005, Sony Records between 2005 and 2006, Sony sub-label Studioseven Recordings between 2007 and 2010, before returning to Gr8! Records in 2010. The discography of Japanese recording artist and actor Masaharu Fukuyama consists of ten studio albums, four compilation albums, three remix albums, twenty video albums, and numerous physical and promotional singles. Fukuyama debuted through BMG Japan by releasing the single "Tsuioku no Ame no Naka" (1990) and the album Dengon. The works failed to chart, however, in 1992 the single "Good Night", aided by the popularity it gained through use in the drama Ai wa Dō da, charted on the Oricon Singles Chart, peaking at number nine. In 1993, his album Calling became his first number one album on the Oricon Albums Chart; it has sold over 850,000 copies in Japan and has been certified two-times platinum by the Recording Industry Association of Japan (RIAJ). "Hello, Again " is a song by Japanese band My Little Lover. It was released as a single on August 21, 1995, and is currently the band's biggest hit single. The discography of Japanese-American musician Beni consists of eight studio albums, two compilation albums, six live albums and three cover albums and twenty-six singles. 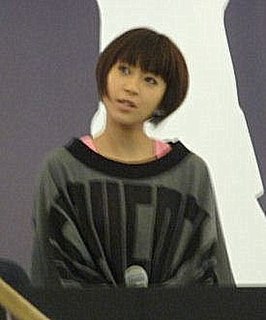 Beni debuted in 2003 as a member of the Pony Canyon idol group Bishōjo Club 21 under the name Beni Arashiro, and in 2004 made her solo debut with Avex Trax. The discography of Japanese musician Miwa consists of four studio albums, one compilation album, seven video albums and twenty-five singles. After releasing two independent singles, Miwa debuted through major label Sony Music Entertainment Japan with the single "Don't Cry Anymore" (2010), a song used as the theme song of the drama Nakanai to Kimeta Hi. The song was commercially successful, and was eventually certified Platinum by the Recording Industry Association of Japan. 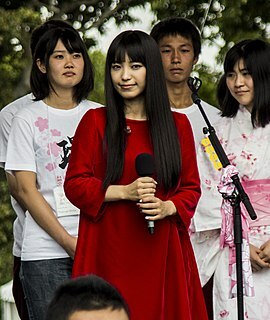 This song, along with her third single "Change", used as a theme song for the anime Bleach, led her debut album Guitarissimo (2011) to debut at number one on Oricon's album charts. ↑ "Board of Directors" (in Japanese). Recording Industry Association of Japan. Retrieved December 25, 2010. 1 2 "The Record - August 2003 - Page 15" (PDF) (in Japanese). Recording Industry Association of Japan. Retrieved December 23, 2010. ↑ レコード協会調べ　8月度有料音楽配信認定 [Record Association Investigation: August Digital Music Download Certifications]. 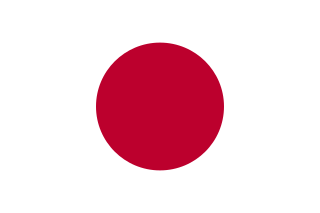 RIAJ (in Japanese). September 20, 2006. Retrieved January 23, 2014. 1 2 音楽配信認定の基準 [Digital Music Certification Criteria] (in Japanese). Recording Industry Association of Japan. February 28, 2014. Archived from the original on March 6, 2014. Retrieved March 6, 2014. ↑ レコード協会調べ　5月度有料音楽配信認定 [Record Association Investigation: May Digital Music Download Certifications]. RIAJ (in Japanese). June 20, 2011. Retrieved February 4, 2014.